Seoul accuses Pyongyang of being behind the death of Kim Jong-nam, leader Kim Jong-un's half-brother. Malaysian detectives say that four North Koreans, suspected of killing Nam with fast-acting poison at Kuala Lumpur Airport, have fled the country. “We believe the North Korean regime is behind this incident considering five suspects are North Koreans,” Jeong Joon-hee, spokesman at the South Korean Unification Ministry, which handles inter-Korea affairs, told a briefing on Sunday, Reuters reports. “Considering North Korea has so far committed crimes against humanity and terror acts, we, together with the international community, are closely watching this brutal, reckless incident with serious concerns,” Joon-hee said, according to AP. Malaysian police said on Saturday they had arrested a North Korean man in connection to the murder of Kim Jong-nam. The suspect was identified as 46-year-old Ri Jong Chol. “He is suspected to be involved in the death of a North Korean male,” a police statement said. Investigators are on the hunt for four other suspects who fled the country. 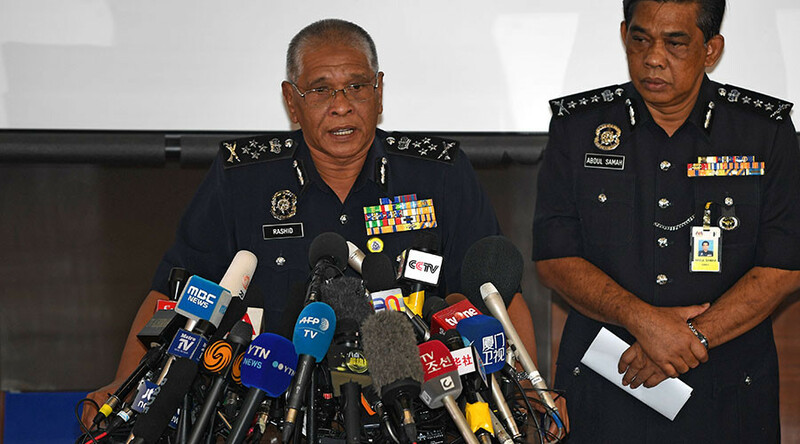 Malaysia's deputy national police chief, Noor Rashid Ismail, told a news conference on Sunday that Malaysia has teamed up with Interpol to track down the four North Koreans. “The four suspects are holding normal passports, not diplomatic passports,” he said, as quoted by Reuters. “I am not going to disclose where they are,” AP quoted Ismail as saying. He named the four who are at large as Ri Ji Hyon, Hong Song Hac, O Joong Gil, and Ri Jae Nam, with the youngest aged 33, the eldest 57. A Vietnamese and an Indonesian women were arrested earlier in connection with the assassination of Kim Jong-nam, the eldest son of the late North Korean leader Kim Jong-il. Kim was a vocal critic of his family's limitless dynastic control of nuclear-armed North Korea. According to South Korea's intelligence agency, he had been living with his second wife in Macau, under China's protection. Kim was waiting for his Macau-bound flight at Kuala Lumpur Airport, when he was set upon by two women. He sought help at a customer service desk, saying “two unidentified women had swabbed or had wiped his face with a liquid and that he felt dizzy,” Noor Rashid said Sunday, AP reports. Kim died en route to a hospital after suffering a seizure on Monday. 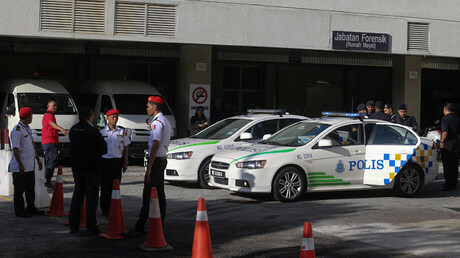 An autopsy is being performed in Kuala Lumpur. “We have to send a sample to the chemistry department, we have to send a sample for toxicology tests,” Noor Rashid said. Investigators say they need to get in touch with Kim Jong-nam's next of kin to help formally identify the body. The man is believed to have two sons and a daughter with two women living in Beijing and Macau. “We are working, we are trying very hard to get the next of kin to come and to assist us in the investigation,” Noor Rashid said. 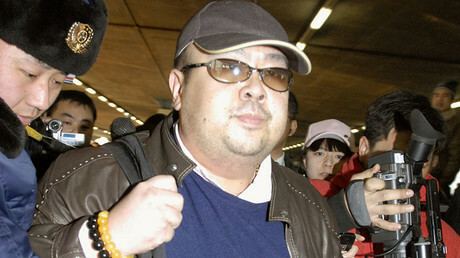 Pyongyang demanded custody of Kim's body and strongly objected to an autopsy. Malaysia green-lighted the procedure, however. Pyongyang said it will reject Malaysia's autopsy report, accusing Kuala Lumpur of “colluding with outside forces” – thought to be a reference to Seoul. “They can say anything, but as far as we are concerned we follow legal and procedural requirements of our country,” Noor Rashid stated on Sunday. The mother of the Indonesian woman, Siti Aishah, alleges that her daughter was tricked into thinking she was part of a prank TV show.